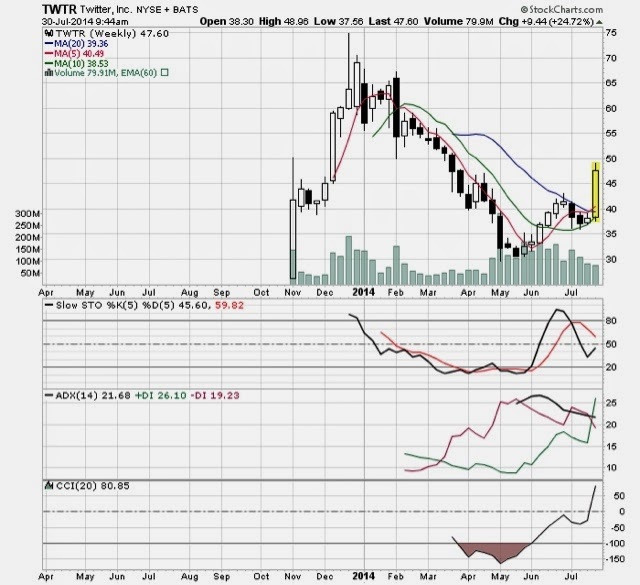 Interestingly enough, this big move has not put twtr in an overbought condition via the weekly oscillators. And sentiment seems fairly calm. Makes one think the move is sustainable, due to an increasing positive sentiment.